*Update: Capcom finally revealed the progress of Resident Evil 2 Remake during E3 2018. Check out the latest on the remake here. The original Resident Evil has seen multiple iterations within its lifetime. The game launched in different versions (Director’s Cut version, DualShock version), has been remade back in 2002 and remastered in 2015. This treatment on the original title left fans of Resident Evil 2, bombarding Capcom with their longing for a remake of the sequel. Imagine playing as Leon or Claire roaming the zombie-infested Raccoon City with modern graphics built from the ground up. I mean, any Resident Evil fan would pay good money to see that. 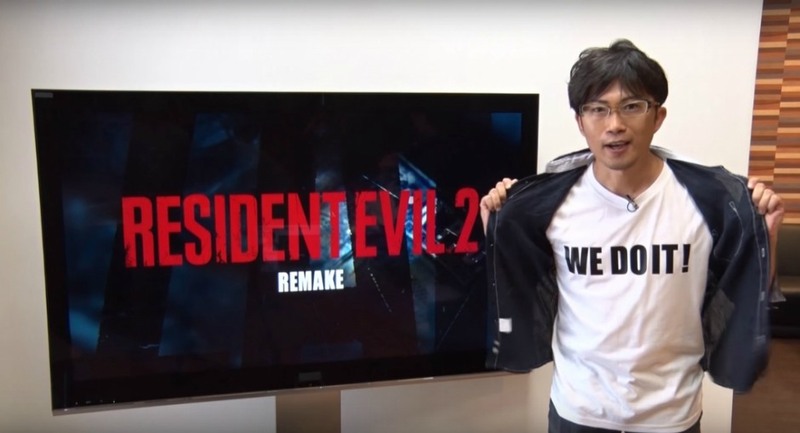 When Capcom announced its plan to remake Resident Evil 2 back in August 2015, fans of the game leaped with joy and waited patiently for more details from the developer. However, almost three years after the initial announcement, Capcom remained silent on the development of the remake, which led some fans to think whether the developer is having a hard time determining the direction of the game, or worse, that Capcom canceled the project altogether. As a Resident Evil fan myself, I still have some faith in Capcom and believe that the latter scenario is out of the question. Of course, Capcom’s credibility and reputation will be put into question if they decide to abandon an announced game that fans are already eagerly anticipating. Not to mention the loss of profit that the game may generate if Capcom plays their cards right. If the project is still on-going, the other probable reason for Capcom’s silence is that they probably don’t know how to make an iconic 90’s game relevant in today’s modern standards. Of course, the horror genre, in general, is vastly different as it was back in the days of Resident Evil 2. Probably one of the most controversial decisions Capcom has to make here is with the control scheme. Will they retain the classic tank controls that added to the sense of danger given that players cannot always see what’s lurking behind every corner? Or will they introduce the more modern over-the-shoulder perspective as seen with REs 4, 5, and 6? Or is the game better off following the first-person perspective of RE7? To be honest with you I’m not intimately familiar with game development, but if it’s even remotely possible for Capcom to have all three schemes available, then that is the best-case scenario in my opinion. As I'm sure that if they only pick one, players who prefer the other two will undoubtedly have something to say about it. Of course, there is still the idea that Capcom may have something else up on their sleeves. Maybe the reason for the silence is that they are brewing something that will make the remake of Resident Evil 2 retain its nostalgic charm, but at the same time, introduce new features that will make it fit with today’s audience. Hopefully, an announcement will be released this coming E3. Now, time to face the big question that is looming over our heads. Will Capcom update fans on the progress of Resident Evil 2 Remake this E3? I mean it’s only one of the biggest gaming conferences in the world where developers showcase their best and latest games to the community, so E3 is the best place to do it. Besides, Capcom already missed its chance to reveal more details last January when Resident Evil 2 celebrated its 20th anniversary. Heck, they even changed the logo of their social media platforms to the classic RE logo, which got people thinking that an update is coming soon. Not to mention the misleading tweet that Capcom posted, then later apologized to fans for the "confusion" the tweet brought. Okay, so I have good news and bad news for you. The good news is, looking at the E3 2018 Exhibitor Directory, Capcom is one of the participating companies so we can expect the company to be at the event. The bad news is the product category that Capcom is in, is under Action/Adventure for the Switch, PC, and Xbox One and Fighting/Wrestling for the PC and PS4. It is evident that Resident Evil 2 does not fall into any of those genres, but maybe Capcom will make a surprise announcement? I honestly don’t know. In the end, only Capcom can answer all our questions about Resident Evil 2 Remake. Maybe the fact that Capcom is taking their sweet time with the Remake is a good thing. Let us remember that Santa Monica Studio took five years to develop the recently released and critically-acclaimed game God of War, which garnered almost perfect scores from critics. Maybe Resident Evil 2 Remake is heading in that direction too? Why do you think Capcom is taking a long time with the remake? Why do you think they are silent with its development? Tell us what you think in the comments below. P.S. Okay, I know this has been done a million times already but is it too much to ask for another remake of Resident Evil 1 from scratch? I always find myself drawn to the Spencer Mansion. I may have a problem.